Development could be restricted to allow for more open space adjacent to yacht club area. CORONADO — The easternmost island of Coronado will soon have areas separately designated for open space and visitor serving recreational uses, courtesy of a resolution adopted by the Coronado City Council on May 16. Land uses on Grand Caribe Isle, which serves as the home of Coronado Cays Yacht Club, would be re-designated to support conservation initiatives and efforts to limit development in the area. The island also hosts boatyard storage space, a park and some commercial uses. 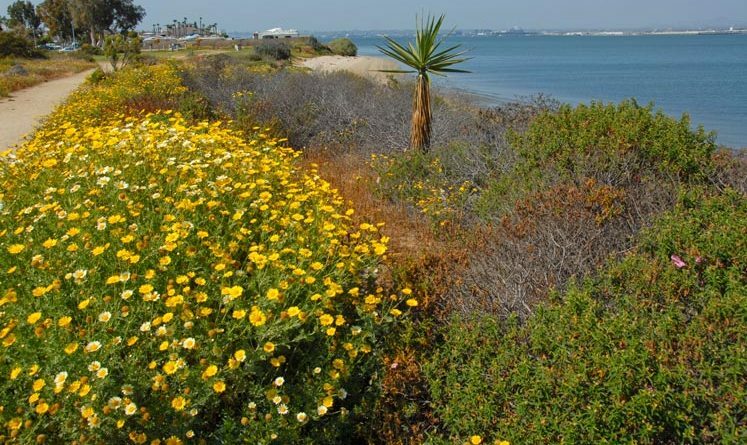 The updated land use designations would mostly preserve public access points to the San Diego Bay coast while also ensuring certain areas are set aside for environmental conservation. Coronado Cays YC’s leasehold also would be updated to allow for possible expansion of its docks or administrative buildings. Coronado’s Grand Caribe Isle sits on tidelands managed by the Port of San Diego. The local City Council adopted a resolution last month in advance of the port district’s master plan update and in support of the local homeowners association’s efforts to “reduce the intensity of development” on the island. The city’s resolution would open the door for portions of the island to be dedicated to support conservation efforts. A recreation-themed open space area would also be created to support local habitat and wildlife-specific visitor serving commercial areas for the local yacht club would also be created. The local homeowners association has been pushing to restrict development on Grand Caribe Isle for years. Coronado’s City Council has generally sided with the homeowners association’s position, according to a city staff report. An opportunity to solidify the homeowners association’s efforts to protect Grand Caribe Island arose with the Port of San Diego’s plans to update its master plan. Potential land uses of Grand Caribe Isle have been a hot topic of discussion for at least 17 years, according to Coronado city staff. There is no direct fiscal impact associated with the adopted resolution, according to city staff. Future fiscal impacts have yet to be determined. Grand Caribe Isle was previously subject to development plans, according to news reports. A developer proposed building a hotel and timeshare on Grand Caribe Isle in the mid-2000s. However plans never materialized or picked up momentum, mostly due to opposition by the Coronado Cays Homeowners Association. The island is located in Coronado Cays and is mostly surrounded by residential boat slips. Chula Vista Harbor, located on the other side of San Diego Bay, is directly east of Grand Caribe Isle.